Our made in the USA woven girls lacrosse socks are designed with high tech function, comfort, and style in mind. We have an impressive collection of socks for any lax player in a winning selection of styles and colors. Our ultra spun knit fabric is soft yet strong, and it dries much faster than cotton moving perspiration away from the skin. 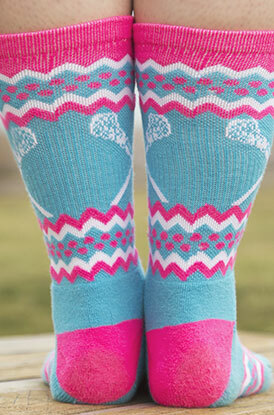 These socks are the number one gift for girls lacrosse players!